Thousands of Israelis visit Gush Etzion to learn about Israel's heritage, hike, and take part in activities. Thousands of Israelis took advantage of the pleasant weather to visit tourist sites in Gush Etzion during Pesach (Passover). Children, teens, and adults, secular and religious, from around Israel enjoyed a variety of activities and attractions, including jeep tours, tractors, sports park, horseback riding, paintball, visitors' centers, and heritage sites. There were also experiential tours in various locations across Gush Etzion, as well as kosher for Pesach restaurants and the option to remain in the area overnight. 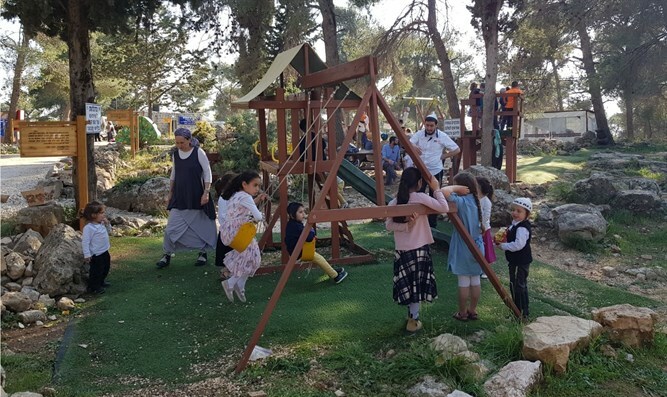 Gush Etzion Regional Council Head Shlomo Ne'eman said, "We congratulate the thousands of visitors who chose this year as well to visit Gush Etzion." "We expect and are prepared for thousands of more visitors, who will arrive over the course of the holiday, to visit heritage sites, hiking trails, and attractions, all of which are located within Gush Etzion, only a few minutes apart from each other. Come and enjoy."